Letter from Kay. – Carolina Girls in Action! My prayer for you all is that God’s light will burn brightly in your lives! My mother once hit me with a brainteaser that absolutely blew my mind. I’m just gonna let that marinate for a moment. 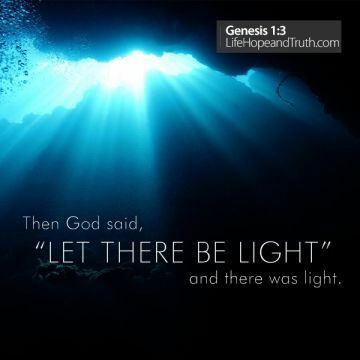 How amazing is God that He can actually supply light without using actual, physical, light? So where was the light coming from? Who knows? I’m guessing the light was coming from…well, Him. My point is, if God is great enough to supply the entire atmosphere with light, I am absolutely positive that He can shine in your life as well–and believe that He is already doing so! God’s light is in everything. Physical, mental, and spiritual. It’s in the trees, the rain, the aurora borealis (sigh of awe). It’s in your teachers, your pets, your kids. It’s in the library, the church, the hospital. It’s in truth, love, laughter–it’s in all components of life. Many times we are so blinded by the darkness that we forget about the life source that we most need at that time. I suppose my prayer isn’t so much that God will shine in your life–because He is already doing so, you see? My prayer is truly that you will realize how it has been YOU keeping yourself from shining brightly in all areas of your life and that you will take responsibility and uncover the light. May God continue to be with you and give you strength to run your race! Previous Peace Be Unto You! Next The Somewhat Uncomfortable Topic.